Nearly 60,000 people have signed a petition calling for a 10-year-old orphan to be granted asylum. It was launched by Rev Brian Casey, minister of Springburn Parish Church in Glasgow, who fears that Giorgi Kakava could be at risk if he is deported to Georgia, the country of his birth. Patrick Harvie, co-convener of the Scottish Green Party, said the situation facing the schoolboy, who is currently living in the north of the city, pointed to a "morally bankrupt" immigration system. Her said Giorgi was "just as Glaswegian as me or anyone else in this city". Mother and son - Sopio and Giorgi. Mr Harvie spoke out after Mr Casey launched an online 38 Degrees petition. 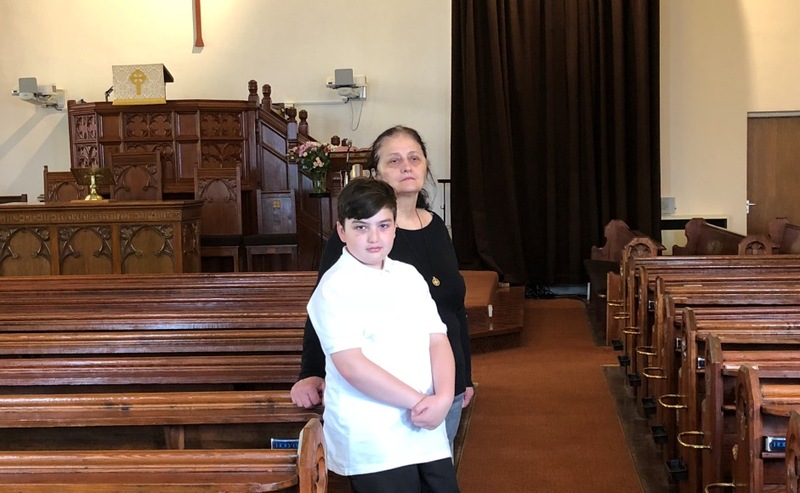 The minister said it was the “dying wish” of the boy’s mother Sopio Baikhadze, who was awaiting the outcome of an appeal for asylum when she passed away, that he remained in Glasgow and grew up a “Scottish boy”. He added that he hoped mass public support would encourage the Home Office to show compassion for the schoolboy, who has no memory of his birth country and doesn’t speak the language. Sopio Baikhadze, who was known as Sophie, died at her home in Glasgow in February. The freelance translator, whose son helped nurse her at her bedside, lived in the city for around seven years. Her mother, Ketino Baikhadze, is now Giorgi’s legal guardian and the Home Office is due to examine their asylum applications next week. Mr Harvie, a Glasgow MSP, plans to lodge a motion in the Scottish Parliament, calling on the Home Office to immediately grant them asylum. “The country’s immigration system is morally bankrupt if a 10-year-old child, who has spent almost all of his life here, is being threatened with deportation to a country he has no memory of and where he doesn’t speak the language," he said. "After losing both his parents, we should be doing all that we can to put the proper support in place, not forcing him onto a plane and out of the country. “As far as I’m concerned he’s just as Glaswegian as me or anyone else in this city. Mr Casey, who is a chaplain at the boy’s primary school, said Giorgi and his mother fled Georgia when he was very young because his life was in danger. “Gangsters in Georgia had threatened to kill him over a debt owed by his father. Mr Casey described Giorgi, who supports Celtic and enjoys boxing, as a “very intelligent, funny, happy wee boy”. “His father died in Georgia and his mother sadly passed away in February,” he said. 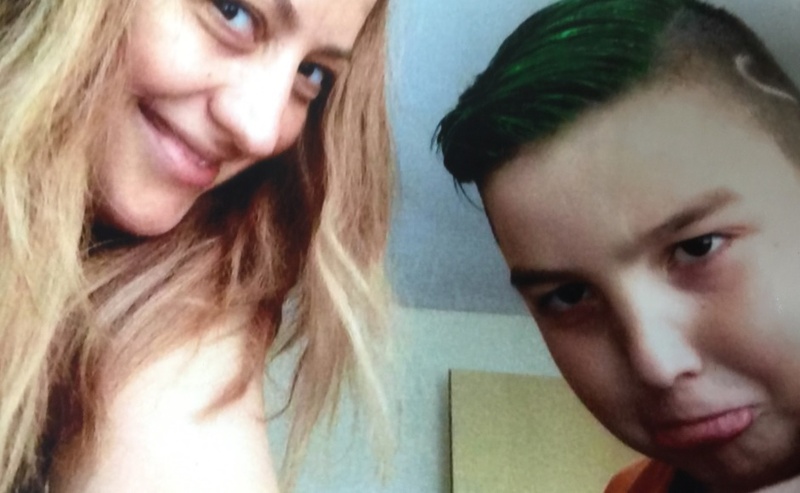 “Giorgi helped to nurse her at home where she died, which is quite something for a 10-year-old boy. “His mother was in the middle of an asylum appeal and there is a possibility that Giorgi will be deported back to Georgia. Ketino Baikhadze and Rev Brian Casey, who is supporting the family. Mr Casey said he hoped that as many people as possible would sign the petition. “Let us show that Scotland is a country that welcomes people with open arms when they seek our help,” he added.